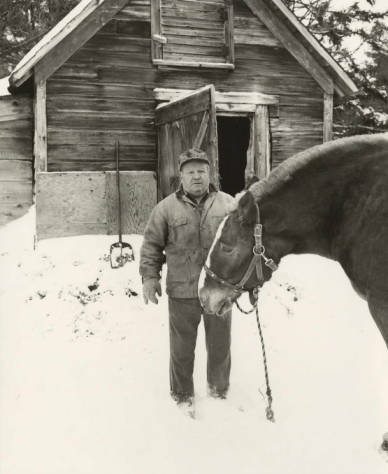 From 1986 to 1987 the Adirondack Museum commissioned Mathias Oppersdorff to photograph a selection of Adirondack residents. About 75 people in the Adirondack Park and the surrounding region were photographed in their familiar environments showcasing them at home, work, and outside doing various activities. This assignment resulted in a 1989 traveling exhibition sponsored by the Museum titled Adirondack Faces, and a 1991 publication of the same title. To view the entire Mathisa Oppersdorf collection, visit its landing page at the Network’s New York Heritage project.